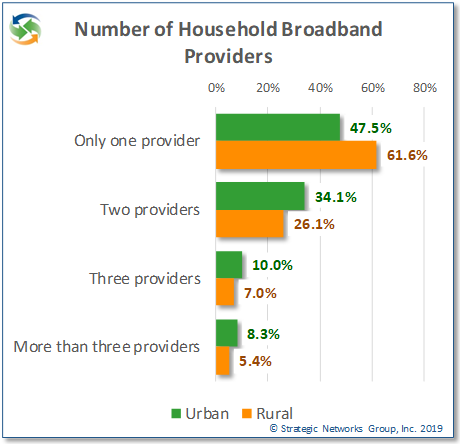 economic benefits | Strategic Networks Group, Inc.
With all of the hub-bub around broadband build out, it is important not to forget about utilization… and how you drive meaningful utilization in your community. A great compliment to our recently announced Market Demand Snapshot is an Action Plan for Broadband Utilization. Designed to spur economic development and job creation, and incorporating feedback from stakeholder workshops, SNG can provide you with will provide the tactics, methods and tools needed to drive broadband adoption and meaningful use. 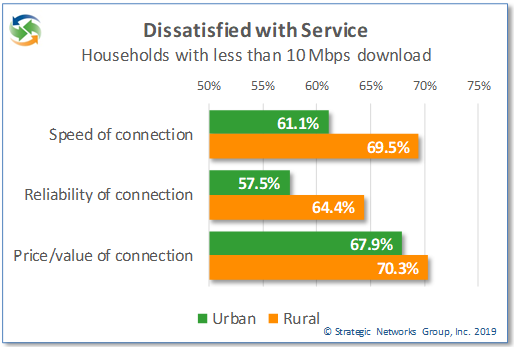 As we continuously preach, broadband availability alone is not enough to realize its social and economic benefits. An understanding of how to effectively use of broadband for commerce, citizen services and the positioning of rural counties as attractive areas for 21st century business and living will play a critical factor in their long-term success of your broadband investment and your ability to impact the lives of the citizens and businesses already located in the regions. Driving efficiencies into the community through the adoption of digital purposes and broadband enabled applications that increase quality of life, the growth of economic and employment opportunities, and spurring commercial investment locally. If you are interested in learning more about how this structured approach can drive demand, adoption and meaningful use to advance your region’s ability to compete globally, attract investment, realize efficiencies, and create jobs, contact Michael Curri. In June, we announced SNG’s popular new offering: the Digital Economy index scorecards. A composite score of how businesses and organizations use seventeen (17) online practices, or “e-solutions,” the Digital Economy index (DEi) is a unique assessment tool that can be used at any industry, sectoral, or geographic analysis of businesses and organizations to drive productivity and competitiveness. 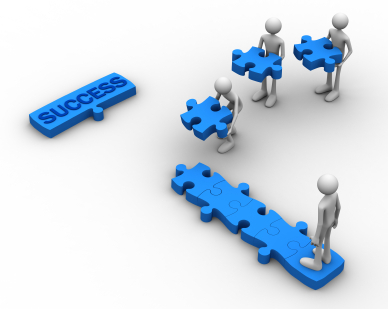 DEI enables businesses and organizations to see where they stand relative to their peers. SNG personalizes the value of online practices to individual businesses and organizations by producing customized scorecards that show where improvements can be made to be more productive and competitive an increasingly online economy. 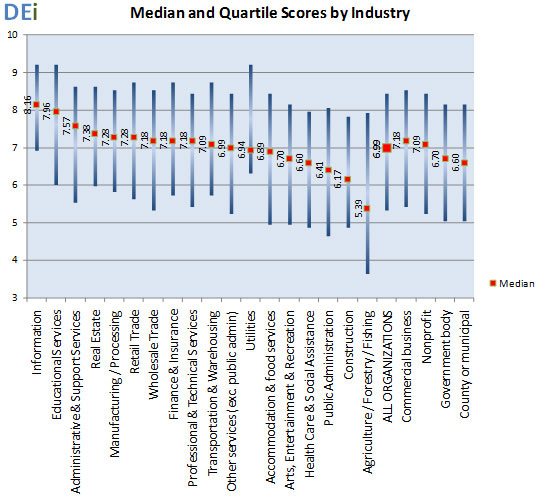 As SNG’s DEi is a composite score of how organizations use online practices to drive productivity and competitiveness, DEi can also be shown strengths and weaknesses within industry sectors. Opportunities for increasing DEi scores, with the accompanying economic benefits, can be identified and prioritized for action by businesses and organizations. 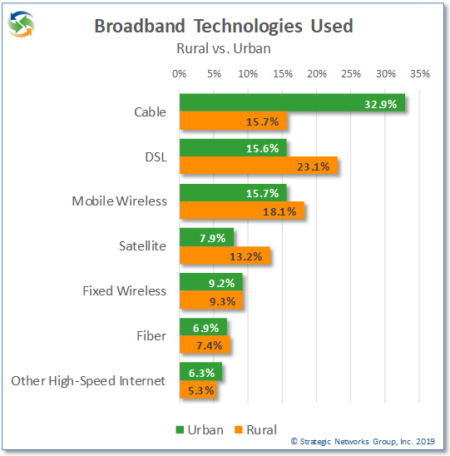 SNG’s proprietary DEi benchmarking capability is a critical tool for proponents of broadband and economic development because DEi shows where organizations and industries are leveraging broadband – and where they should be adopting online practices that will keep them competitive and relevant in a digital economy. Adjacent to Washington DC and the home of the FCC, Virginia is about to embark on journey along the Broadband Lifecycle. 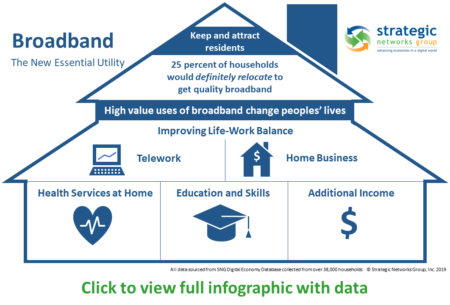 This is one trip the Bristol area in western Virginia is already very familiar with – as in 2007, SNG partnered with FiberToTheHome Council and BVU OptiNet (Bristol Virginia Utility) for step 6 of the broadband lifecycle – measuring outcomes. And with research of impacts, came an opportunity to uncover where to allocate additional fiber resources. The Center for Information Technology (CIT) of Virginia is targeting surveys to 30 thousand businesses and over 8 thousand homes. With a statewide effort, this is a groundbreaking study on the benefits of a Fiber to the Home (FTTH) deployment. SNG will examine the economic and civic benefits that can be realized, give a holistic picture of the Community Return on Investment – and hopefully drive broadband development and growth throughout the Commonwealth of Virginia. Today, the Economic impact study of e‐solutions in the Bristol area is a core project component, quantifying the impacts of implementing e‐solutions from BVU OptiNet’s deployment. In conjunction with the state-wide initiative, SNG is again collecting data in Bristol that will serve as benchmarks for the rest of Virginia, helping identify the most significant and immediate economic and social benefits from e‐solutions. This will help guide Virginia as it makes decisions for what solutions are needed, and where, throughout the Commonwealth. Findings from the Bristol test bed will be used to take effective awareness and adoption strategies for education, workforce, economic growth, healthcare and community. Learnings will also help prioritize planning activities, workshops, awareness campaigns, training on e‐solutions that will sustain and grow broadband.